What do you wear if …(1) you don’t have a necklace (2) need some color or (3) need volume on the top? Answer. Wear a scarf. There literally are forty different ways to wear a scarf. With so many options, why wouldn’t you want to own a lot of them? They are affordable and available at every clothing store that sells women’s clothes. My current collect is approximately 37 and growing. I’m not even counting the thick winter fleece scarves for wear outside, this is only counting fashion scarves! My job doesn’t really allow me to be super bold with fashion and as flexible with my clothing options so I need something to “spice” it up. Organization of a prized collection is important. Below are a four ways you can take this large quantity and make it easily accessible and visually available. Under bed shoe storage (similar) - This is my current system and used from the extra under shoe storage left over from my boot organization project. There was no reason to modify the holder. Roll the scarves and color code according to your liking. I like that there is still more room for future scarf purchases. 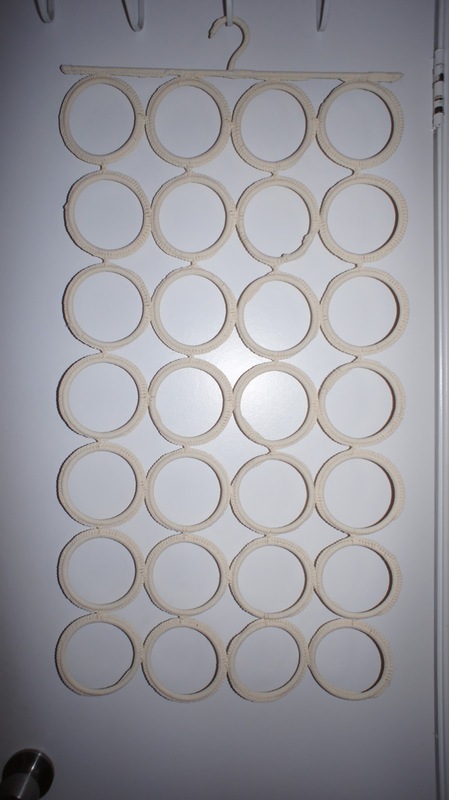 Metal binder rings on a strong hanger. This will work for about ten scarves. Anymore scarves and you won't be able to see all you have. 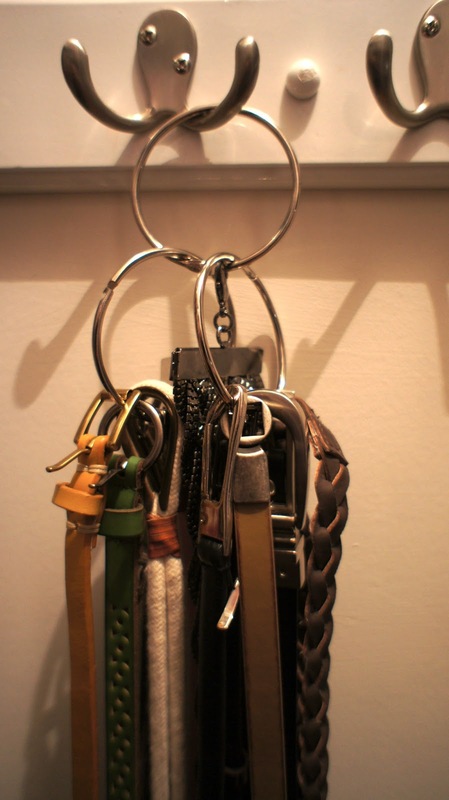 You can also use the binder rings to hold those small buckeled belts that wont hang on ordinary belt holders. 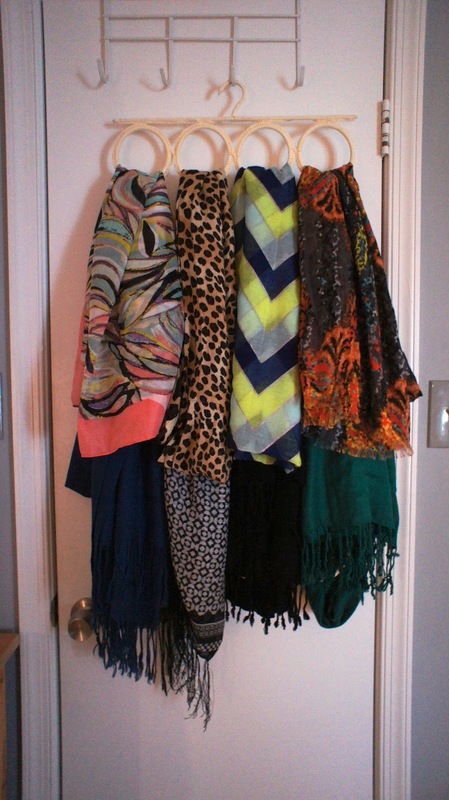 The scarf hanger from IKEA called the KOMPLEMENT. It's eight dollars and is a really good holder if you dont have an abundant amount of scarves. This was my holder until the collect outgrew it. The scarves on the top tend to cover the bottom layers. Specialty scarf holder. 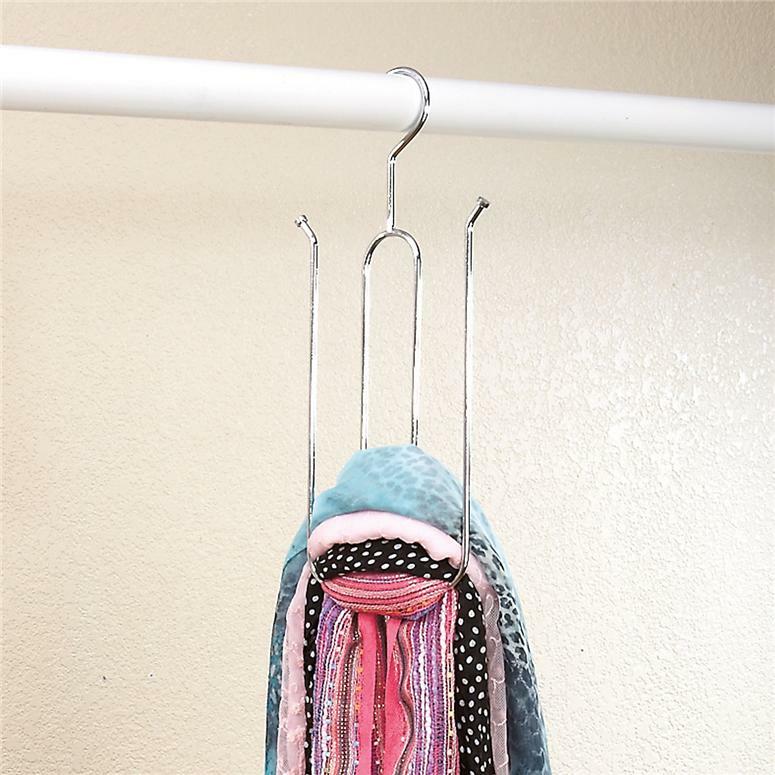 This holder is specially designed for scarves. You can see all the scarf patterns using this system and it would hold probably about ten. For about six dollars each, you could buy a few and see your entire collection while hanging them in the closet.